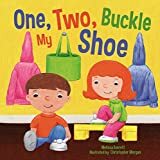 “One, Two, Buckle My Shoe” (or just “1, 2, Buckle My Shoe“) is a traditional English nursery rhyme and counting-out rhyme first published in “Songs for the Nursery“ in London in 1805. Learning to count is one of the child earliest lessons. 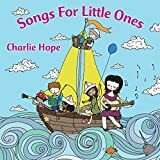 For this reason, counting rhymes have a long history and many have the status of nursery rhyme. 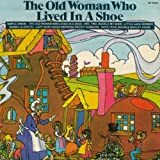 “One, Two, Buckle My Shoe” is an example of this kind. 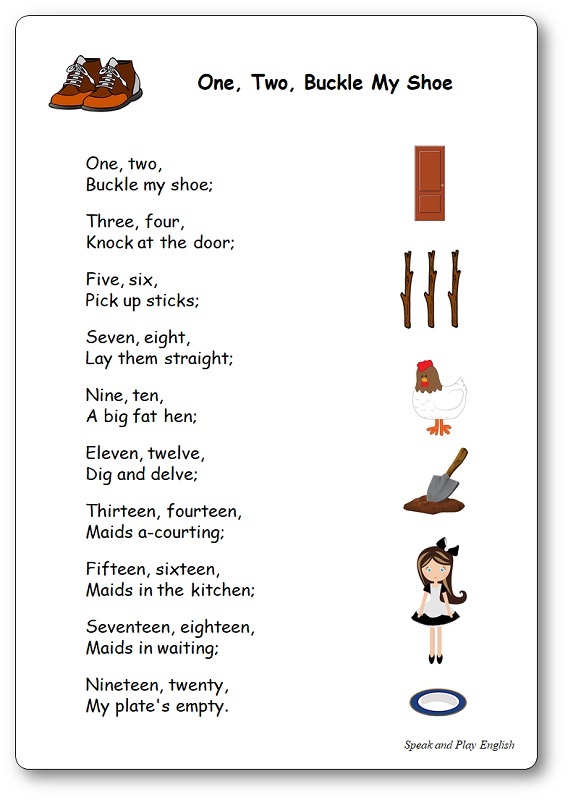 This funny traditional counting-out song, presented with attractive pictures, will teach kids how to count from 1 to 20: One, two…Buckle my shoe. Three, four…Knock at the door. Five, six…Pick up sticks. Seven, eight…Lay them straight. Nine, ten…A big, fat hen!